From the vantage point of 1977, scarcely more than a decade into the era of the synthesizer, the magnitude of its impact on the world of music remains to be determined. Like any other device, it can have only as much effect as the people who use it have talent. The face of rock and jazz is being transformed by dozens of prominent synthesists whose understanding and application of electronics becomes daily more sophisticated. In contemporary classical music, there is likewise an army of dedicated artists making use of the instrument, though of course their work is heard by fewer people. The bastions of 19th Century symphonic music have, however, proven more formidable. Although the synthesizer would seem to offer comparatively effortless access to the range of sounds that composers have traditionally required a hundred or more musicians to produce, the synthesists who have so far attempted large-scale electronic realizations of symphonic works can be numbered on the fingers of one hand. 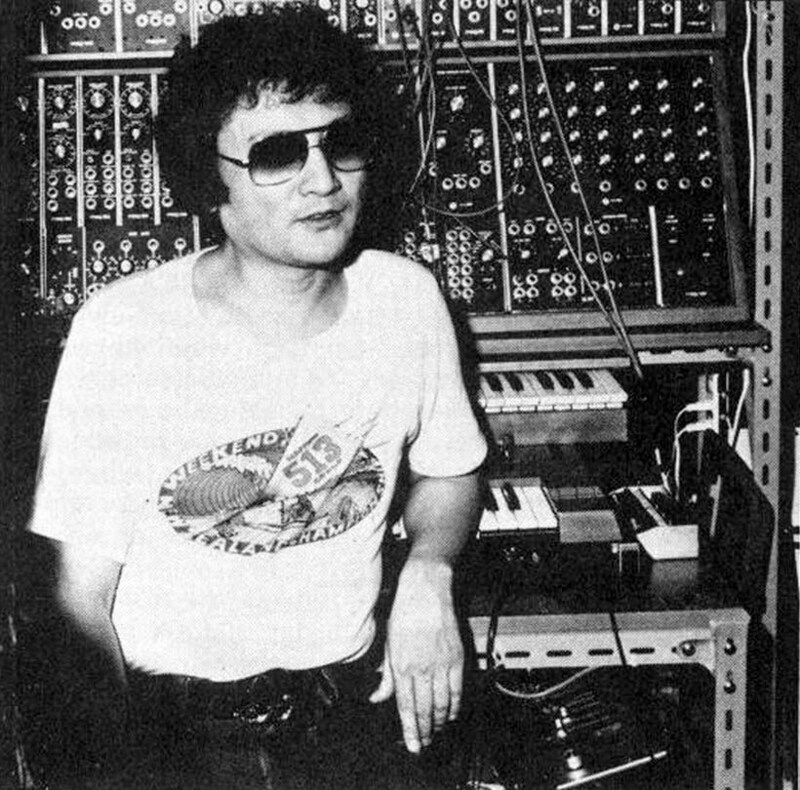 Of these few, the one whose work has recently generated the greatest critical acclaim and popular interest, thereby showing how bright the future of electronic orchestration may be, is lsao Tomita. Bom in Tokyo in 1932,Tomita had already firmly established himself on Japan's music scene through his work on film scores and TV commercial soundtracks, as well as through having received several important commissions from the Japanese govemment, when his first album of synthesized symphonic music, a Debussy collection called Snowflakes Are Dancing [RCA, AR11-0488], was released in 1974. Hard upon Snowflakes followed his versions of Moussorgsky's Pictures At An Exhibition [RCA, ARL1-0838] and Stravinsky's Firebird Suite (the album Firebird [RCA, ARL1-1312] also contains Debussy's Prelude To The Afternoon Of A Fawn and Moussorgsky's A Night On Bare Mountain). With the release this Spring of The Tomita Planets [RCA, AR11-1919], based on Holst's The Planets, Tomita's career has reached an all-time high: the album rocketed to #67 on Billboard's pop chart and to the #1 slot on the classical chart, assuring him of the continuing attention of an international audience. Since Tomita speaks little English, we must express our sincere appreciation to Player Magazine (Young Mates Music), Koa Bldg., 7-22-38 Nishishinjuku, Shinjuku-ku, Tokyo, Japan, for permission to reprint the following interview, which first appeared in their publication. I began seriously concentrating on music study after I entered senior high school. I went to a class in the arts section at the YMCA and learned music theory and composition. Today, there are many classes like this available, but this was not so much the case in those days. Did you start with the piano? Yes, the piano was almost the only musical instrument available. I took lessons from an instructor of classical music and progressed to where I was playing some of the simpler sonatas. I began with Beyer and went through Czerny and various other methods. But I started only after my father bought me a piano when I was a sophomore in high school, so I'm not that good at it. Weren't you also interested in electronics? Yes, I was, At the same time I was taking a class at Keio University in aesthetics and the history of art, I was enjoying tinkering with electronics. I often went to the shops in Tokyo's Akihabara district that dealt with electrical equipment. You could buy a sack full of parts of demolished airplanes for 20 or 30 yen [about 10(t], and often the sacks contained tubes, relays, and many other precious parts that couldn't be bought anywhere else at such prices. Using these parts, I once made a device that would ring a bell when somebody passed through a doorway-sort of a burglar alarm. At first. my interests in music and electronics were quite separate. it was the marketing of synthesizers that unexpectedly merged my two hobbies. What motivated you to go into music more seriously? The Asahi newspaper was sponsoring an all-Japan chorus festival. When I was a sophomore in college, I sent in one of my compositions to them and won a prize. This was my first motivation for entering the world of music. At about the same time, I got involved with taking care of radio programs and arranging music for school children. So by the time I graduated from college, I didn't have any trouble getting work in the field. How did you come into contact with the synthesizer? it started when I listened to Walter Carlos' Switched-On Bach [Columbia, MS-71941 for the first time. I had known that NHK [the Japan Broadcasting Corporation] was spending hundreds of millions of yen setting up an electronic music studio, but I wasn't really interested in working in them, because they had a large staff of composers, engineers, and sound-effects people. In the case of normal music, melodies, chords, and rhythms are expressed with notes, and consequently there is a solid object, the score, which can be discussed in the same way that one would discuss a blueprint of a building. But the concept of a sound that hasn't yet been electronically created exists in the mind of one person, and can't be discussed in the same way. For instance, suppose that there was no such thing as a violin in the world, and that the sound of the violin existed in the mind of one person. The person couldn't convey the sound until it was actually produced by a violin. Because of this limitation, the development of electronic music has tended to be rather haphazard. But the synthesizer can be operated by one person alone. This means that a music producer can directly create the sounds he or she wants by connecting circuits. It was this possibility that made me think electronic music was worth producing. I was impressed by Switched-On Bach, and subsequently I bought a relatively expensive synthesizer. Nobody in Japan knew about the synthesizer at that time. I even made an inquiry to Hong Kong in vain. However, I discovered that the Aichi Prefectural University of the Arts in Nagoya had just acquired such a device, and I went to the University and asked them to introduce me to the dealer. I finally acquired an instrument around the end of 1971. What equipment did you buy at that time? I bought a Moog III and a sequencer. The operation of this equipment is pretty complicated, but of course it's easier to handle than the electronic music devices of decades ago, and much less bulky than if vacuum tubes were still being used instead of transistors. And once you understand how it works, the equipment of today lets you handle sounds to perfection. Did you encounter any difficulties when you first set the device up? I believe is now an assistant professor at a university in Osaka, was kind enough to come to my home on two occasions to explain the machine. Because of my electronics background, I could understand to some extent the various functions of the modules. But I imagine that the techniques I acquired for using the equipment are sort of unique, because I developed r-ny understanding of the various functions almost without being instructed by an expert. I didn't exactly intend to go about learning in this way, but that's how it worked out. How did you pay for such an expensive instrument? It was a headache. I had to pay back about ten million yen. But it was a relief to know that there were almost no other synthesizers in Japan except for a small number of Minimoogs. So I teamed up with a group of sound effects producers, and we received a substantial number of orders for TV commercial soundtracks. In a normal case, the cost of producing music for one TV spot is about 500,000 yen [about $1,800], which is allocated to the composer, the studio rental, and payments to the musicians and conductor. We offered better music for the same cost. And if we made three commercials a month, we had an income of 1,500,000 yen. This enabled me to pay back my loan little by little. But i wasni t satisfied just to be doing that kind of work. I knew that the synthesizer was capable of more, so I started working on Debussy's "Claire de lune" [later released in the U.S. on Snowflakes Are Dancing] on my own. Walter Carlos had already put Bach's music into electronic form, but I wanted to try doing the same thing to pieces by the Impressionist composers. As I experimented, the number of finished tunes I had grew until I had five for each side of an album. So I went to a record company with the material. Japanese record companies refused to put out records of such music, because they said it wouldn't sell. They felt that my music was merely experimental. One of the biggest problems was that they didn't know how to classify electronic music within the conventional categories of classical, popular, and jazz. As a result, they didn't know where they would put the records of electronic music in a record store. I checked to see where Switched-On Bach was being put in the stores and found one shop selling it as a sound-effects record. The Japanese record companies said that records with no appropriate place in the racks in the stores don't sell well. They also said that the considerable success attained by Switched-On Bach lay in the fact that it was done by an American. They implied that no such record made by a Japanese would be as successful. I gave up trying to sell the tapes to Japanese record companies and took them to Mr. Yamamoto at RCA, who told me about a certain Mr. Peter Munves at RCA in New York. 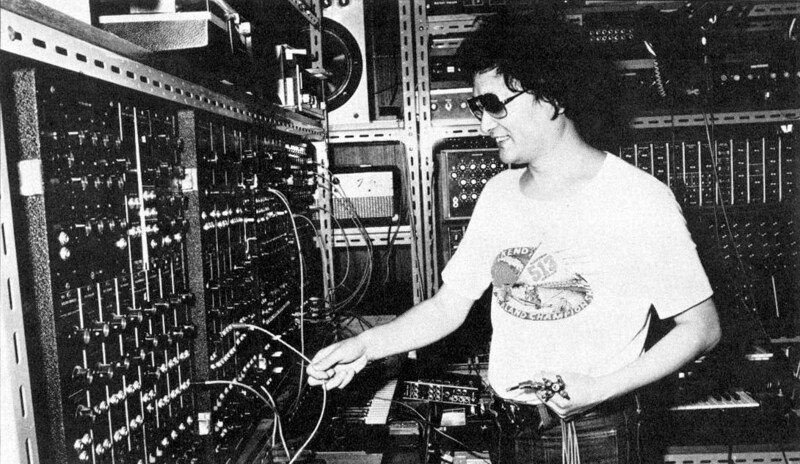 Munves had handled Switched-On Bach when he was at Columbia. He listened to my tapes and immediately agreed to put my music on records. Another American who helped me is Thomas Shepherd, who is presently a vice-president at RCA. He also worked formerly for Columbia, where he produced a record entitled Switched-On Bolero [now apparently out of print]. He has had the experience of actually operating a synthesizer. How long did it take you to complete the first album? Working more than six hours a day, it took me about fourteen months. Two or three hours each day were required just for setting up the equipment and stabilizing the sounds. Did you encounter any difficulties in overdubbing? Of course, the amount of noise increased, but also, the quality of the sounds sometimes changed in unexpected ways because of repeated dubbings. How many tracks did you have to lay down? It varied according to how complex the passage of music was. In some passages I dubbed the sounds more than a hundred times. All this had to be done on a four-track machine. Sometimes it seems to me that the actual work involved in creating electronic music is more like making a documentary film on how to make Persian carpets than it is like playing music. I've heard that on Mike Oldfield's Tubular Bells [Virgin, PZ-341161 there are literally thousands of overdubs. Did you intend Claire de lune more as a demonstration of a synthesizer sound collage, or as pure music? It is intended to offer one particular sort of pure music. To most people, it doesn't matter how many people have worked to create the sound, or that the synthesizer was used to create it. New things tend to encounter many barriers before being accepted. My music meets with a lot of curiosity, but merely being a curiosity doesn't guarantee success. Which is your favorite among your first three albums? The Firebird. The tunes on the back side of that album are somewhat inferior in quality, because I did them even before I did Pictures At An Exhibition. But Firebird is one of my biggest technical successes. ideally, it should be listened to through a four-channel system. You see, my music is fourchannel music from the beginning. I try to create a certain acoustic space. There is, however, no fixed direction that the four channels ought to have. The listener can sit anywhere among the four speakers; it isn't even necessary to sit in the exact center. If you're close to a speaker you might experience the sound travelling away from you, while a listener in the center would feel the sound shift from the right to the left. You did a live tour of Europe, didn't you? I toured Europe from February to April of 1976. I borrowed Pink Floyd's audio equipment and toured West Germany, the Netherlands, and Britain. I had always wanted to reproduce my music in a vast sound space that could accommodate as many as two thousands listeners. I thought it would be a dream come true if my music could be played in such halls with good audio equipment. You know, most music critics use a two-channel system to listen to my music, but when the front and rear channels are combined, the music sounds too flat. This results in unjustified reviews. It seems to me that this is like scratching an itch through an overcoat. It's a hopeless case. But really, a live performance of this genre of music is absolutely impossible. So I was playing simple sounds on the synthesizer on the spot, while the rest of the music was coming through a four-channel tape system. The promoter of the tour, however, didn't understand things like this. Many people appeared to have the notion that all the sounds could be produced at once. I was quite perplexed with the whole situation. In addition, although the posters said that Pink Floyd's equipment would be used, in London the posters showed Hammersmith Odeon. This naturally led people to think that the concert would feature live performances. It embarrassed me a lot. So you were the only performer? I did concerts of part of Pictures At An Exhibition with a pianist. The sound of the synthesizer came from the tape and I operated the mixing console, and the pianist performed while listening to the tape. On Firebird, I had the pianist play the orchestral piano part that Stravinsky had written. The rock group Renaissance also performed on these concerts. We performed in this manner in nine places, I believe. Another problem was that European fire laws prohibited the placement of speakers in the balconies of the larger halls, and as a result, the two rear channels of the four-channel sound were in front of the balcony seats. This was almost always the case in Germany and the Netherlands, though the situation was a little better in London. And of course, the critics always sat in the balcony. Are you planning to tour the United States? I hope to. I'm going to try, however, to make the promoters understand the difficulties that I encountered in Europe, because I don't want to be taken as doing something phony. Do you listen much to records? I haven't been, but now that The Planets is finished, I'm going to. I have the impression that there are many groups who are making very elaborate use of the synthesizer. Sometimes I hear such groups on the radio, but I don't know who they are. I have the impression that synthesists are starting to get very good at selecting the sounds to produce and that their taste is becoming quite well-developed. Aren't many of the sounds created by the synthesizer just imitations of the sounds of conventional instruments? Some people think that the fixed mission of the synthesizer is the quest for sounds that could be produced using conventional instruments. 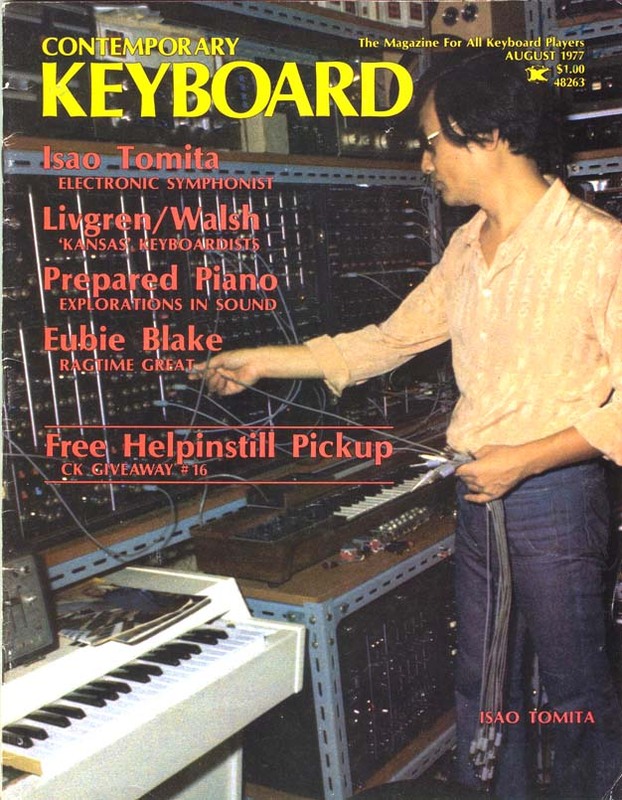 But I feel that the emergence of the synthesizer makes it possible for players and composers to do better than past achievements, because the limitation of having to deal with given sounds is no longer there. The musician, unlike the painter or the sculptor, has never been able to search for colors other than those that were given. But with the synthesizer, we have a palette comparable to that of the painter. There is no rule that dictates how this palette ought to be used; it can produce both imitative and nonimitative sounds. Also, you could reproduce your image of a soprano so high that the human voice couldn't produce it. You see, if you want the sound of a violin, you can always use an actual violin. But if your sound images are somewhat different from the sounds of any actual musical instrument, the synthesizer will allow you to create sounds similar to your image. If a listener relates to the synthesized sounds as imitations, it doesn't matter to me, because in any case the origin of the sound is in our minds. It will take many years of use, though, before the best method of using the synthesizer is determined. Good methods will remain, while others will vanish. It seems to me that history will have to evaluate the various possible uses of the synthesizer. Right now, we're all seeking to find good methods, so each user should find his or her own way. In the past, we could already imagine beforehand, just by knowing the style of the composer and the instruments that were available during that period, the kind of sound that he or she would produce. The sounds of the synthesizer, however. cannot be imagined in advance. But there are a lot of possibilities. Who knows? Imitative synthesis might someday take the place of conventional instruments. I imagine, though, that in synthesizer orchestration, imitative and non-imitative sounds will continue to exist side by side. Take the paintings of Salvador Dali, for instance. In certain paintings, you will have an image as realistic as a photograph placed next to another that isn't so together. The same thing can also be said with music. It's the personal feelings of the musician that will determine the quality of the music. What direction do you see the synthesizer moving in, in the future? The synthesizer has just made its debut. When automobiles first appeared, they had to be started with a hand-crank, and they needed fresh water every kilometer or so. like the automobile, the synthesizer will be quite different within a few years from the way it is now, and these early models will be recalled with nostalgia. What I expect from the synthesizer is a better capability of producing the kind of sounds that users want. Now, it sometimes takes an hour or more to get the sound I want out of the machine. According to the people who make the hardware, the type of hardware created depends on what kind of software is wanted. And the software demand then changes in response to the new hardware. This reciprocal progress is sure to be seen in the case of the synthesizer. For instance, look at my sixteen channel board. When sixteen-channel devices first became available, they had so many amplifiers and volume knobs built in that they looked like a chest of drawers. The hardware almost overwhelmed the user. But now I have one with no volume controls. It reproduces the signal at the same volume at which it was fed into the board. If the signal is too loud, it carries out distorted, but the carefully fed-in sound comes out in good condition. Thus there is no need for volume controls. All the machine needs are selectors for record and playback. And although it's considerably simplified, the device offers no inconvenience compared with older models that had lots of switches. So in my opinion, the synthesizer can be gradually simplified while retaining the capability of meeting musicians' needs. The image of a sound can disappear from the mind if the synthesizer can't produce it quickly enough; for example, when it takes more than two hours. Eventually, you start wondering what it was you were trying to do in the first place. It's the same with live performance: The quest for a certain feeling becomes futile when the musician keeps doing the same thing for too long. So eventually the synthesizer should be able to produce immediately whatever sound is wanted. Then it could be used effectively onstage. Right now I'm not able to get the maximum from my synthesizer. I still have to search for possibilities for softwares. I'm satisfied with the present functions of the instrument, but the access to them should be made more convenient. What plans do you have for future albums? I have lots of plans. I particularly want to take up the mentality of the Japanese people and put it to music. Up to now I've just been rearranging Westem classical music. I want to use music to convey such typical Japanese stories as Yukionna (Snow Fairy) and Miminashi Hoichi. In the latter, a blind hero (Hoichi) plays a biwa, a Japanese lute, before the ghosts of the Heike warriors. Without knowing it, Hoichi shuttles between reality and the land of the dead. I want to describe such a story with four-channel music somehow. Rock artists like Rick Wakeman are using their own folk tales as a basis for music, and I want to do the same thing with tales that are full of Japanese atmosphere. Right now I'm in the process of solidifying in my mind the methods that I'll use. Are you planning anything that would incorporate more conventional piano playing? I'm not that good at normal keyboard technique. My music works best when I overdub sounds to create a certain color. I put a lot of emphasis on tone color. I do plan to do an album in which only the color of the sounds varies. I want a sound without rhythmic pulses to shift its colors like the changing colors of a light show. Are you interested in instruments other than the synthesizer? The instruments in the Middle East are intriguing to me. I've heard tapes of sounds recorded in tavems in Arab countries that are very mysterious. Not knowing what the musicians are using, I get the feeling that they're playing synthesizers! Of course they're using some kind of old folk instruments, but the sounds are very similar. I'm also interested in some of the unusual sounds and instruments being used in rock music today. I wonder what they are. What advice would you give to someone who wanted to own a synthesizer like yours? The first thing is to obtain the main body made up of oscillators, filters, a simple mixer, an envelope generator, arid a VCA. The Roland company, for instance, is making a System 700 and a System 100 similar to the setup that I have. Then you can add other modules later in accordance with your financial ability and your needs. For people who are mainly interested in imitative synthesis, simple preset devices, or a Minimoog, should be enough. But even if you want to use the instrument to reproduce sound images from your mind, you don't need to buy a huge system right at the beginning, because parts of it may prove useless to you. What you need to convey your images is something that matches the level of your personal development. So first you should buy the core of the machine. My Moog III is a combination of various modules, and it's possible to buy only the easing of it first and then insert the necessary modules one by one. This prevents unnecessary buying and enables you to get a better understanding of the instrument by leaming about one module at a time. One more thing: If you're planning to use the synthesizer in concert performances, you should acquire a live preset panel, which will give you easy access to the sounds you've created. In order to do this effectively, of course, you need to have a good enough instrument that you don't run into any unexpected mechanical trouble onstage. What composers have most deeply influenced you? Since my student days, I've been seriously influenced by Rimsky-Korsakov, and also by those who followed him, such as Ravel, Debussy, and Stravinsky. Bach's music to me sounds like drawings with lines but no color. The notes can be played equally well by an organ or by strings, or can be sung by a choir. But Rimsky-Korsakov started using different instruments like the different colors in a painting. In Scheherazade he used not only melody, harmony, and rhythm, but included the important factor of color as well. And Stravinsky and Ravel both leamed this from Rimsky-Korsakov. It appears to me that they composed symphonic works by mixing together the colors of the various instruments. Painters and sculptors can use their favorite colors, while musicians can't work with such visible qualities. Nor can musicians create new instruments to produce the sounds they want. But Stravinsky and the others did create wonderful colorful music within such a limitation. If they had had a palette like the synthesizer to work with, I feel that they would have produced a completely different kind of music.